I am always looking for ways to earn more. Sometimes it is through websites. Sometimes it is through apps. I also like to use mystery shopping. I will be adding links to this page as I try out different ways to earn money that others may want to try! Presents ways a young child can earn money, such as doing chores or selling things. 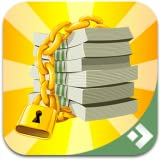 In Earning Money, early readers learn about the concept of earning money and ways to do it. 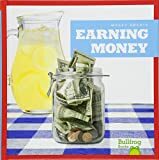 Vibrant, full-color photos and carefully leveled text will engage early readers as they discover basic economic principles.